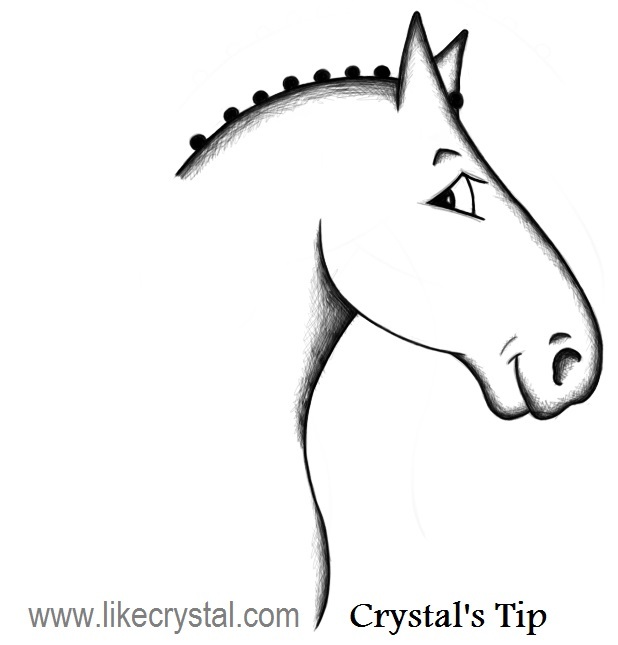 Haunches in, haunches out, quarters in, quarters out, travers, renvers – strip back the technical terms and what you are aiming for is the ability to move your horse’s quarters left or right (with bend through the horse’s body). Getting to the heart of the matter will dispel any fears you have about cracking on with this type of work, because the sooner you do, the sooner your horse will benefit from these straightforward exercises. [Tweet “The essential element to all lateral work is ‘bend’. Get bend, keep bend”]. 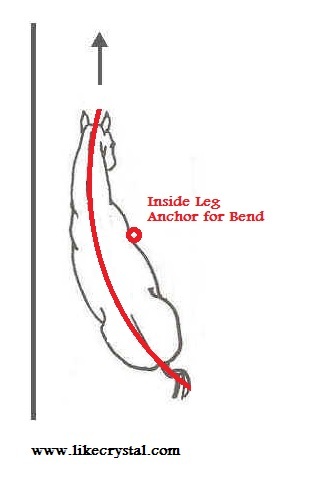 The function of this work is to get the horse’s rear to rotate inward and bend around your inside leg. Often riders simply move the outside leg back and thereby move the quarters to the inside in an effort to achieve haunches in. However, if your inside seat and leg is not clearly part of the given aids, your horse will have nothing to use as a point of reference for the bend and simply swing the body in or out stiffly. This movement is something quite different to travers or renvers and will not help your horse’s suppleness and athletic ability; it looks wrong and will not pull in the points in competition. Try to think of the leg as a peg, anchoring the point at which the bend should initiate and your horse wrapping himself around that point, all whilst in motion of course! Once you have your inside leg in place, only then should the outside leg come back to ask the haunches to swing into action. The haunches then wrap around your inside leg and create the enhanced body bend. The horse should be on four tracks and the angle should be around thirty five degrees. In the early stages, we can begin with a few steps and be happy with three tracks but our ultimate goal should be the length of the arena in four track. But what about the front end? It is just as important as the quarters and the focus should not necessarily be all about the rear of the horse. The shoulders, neck and head should be travelling straight into the direction of travel with the head and neck showing have a very slight inside flexion. As with half-pass the secret to a successful travers or renvers is in the preparation of the movement. Ride a circle before you attempt the movement, you will already have established the bend off the circle or bend. The bend will already be anchored around your inside leg. It is then simply a matter of bringing back the outside leg and encouraging the quarters over. I caution you though ‘do not nag with the outside leg’. Just rest your leg behind the girth to stop the horse straightening. Try a few steps of the quarters in, straighten, a few more quarters in steps, straighten – this way you can teach yourself the feel of what it’s like to have the horse bent around the leg and positioned in travers and how it feels to straight again. By playing with this, you can check the clarity of your aids before you go full into the movement. CADENCE ... OR SHOULD I SAY 'HARMONIC RHYTHM’?